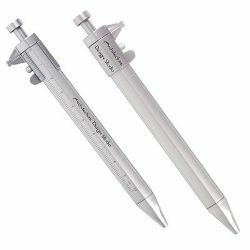 The pen that becomes a measuring instrument. Great for simple measuring tasks. ITEM SIZE(MM) 148L x 11H. PRINT AREA(MM) 16L x 5H (Measuring Tool), 60L x 4H (Barrel).